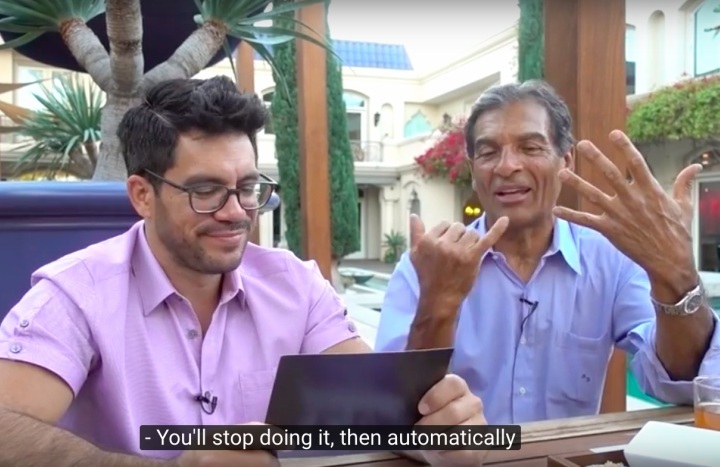 Gracie Jiu-Jitsu Grand Master Rorion Gracie comes by to Tai Lopez’s house to talk about his new book The Gracie Diet. Rorion tells us how his family revolutionized the sport of Jiu-Jitsu, eventually creating the style of Gracie jiu-jitsu. He shares his life story, beginning at age 16 when he left Brazil for America. Where he worked odd jobs to get by, eventually earning enough money to start teaching private lessons of Gracie jiu-jitsu in his garage. Rorion found that Gracie Jiu-jitsu is more than just a sport, it’s a lifestyle. A lifestyle based on keeping the body healthy. The “Gracie Diet” is a method of eating developed during 65 years of research and first-hand use by Grand Master Carlos Gracie. Based on common sense and the proper combining of foods, it’s the secret of success for the largest family of athletes in the world. The basic principle of the Gracie Diet is to keep blood pH level neutral by consuming only compatible nutrients at each meal. Gracie Diet is flexible but it definitely prohibits consumption of pork and its derivatives and adopts abstinence from alcohol and tobacco. The major focus of the diet primarily about specific food pairings and foods not to eat: like dried fruits and pork. Raw or cooked egg yolk, coconut water, brewer’s yeast, coffee, and several kinds of tea are neutral. They’re compatible with any food. Bread should be made from whole flour and should not be consumed within 24 hours of being baked. Then, prior to being eaten, it should be toasted or oven-warmed. Avoid sweets, canned foods in syrup, and spices including: pepper, clove, cinnamon, mustard, pickles, and vinegar. Don’t eat pork in any form. Space meals at least 41⁄2 hours apart to ensure complete digestion before you eat again. It’s OK to wait longer. Young children may eat every 4 hours. If you feel hungry before it’s time to eat, drink a glass of water. Never snack. Rorion and Tai go in-depth into the specific of how the Gracie Diet works.